The classes are held on a donation basis. Wear loose comfortable clothing and shoes that tie. Also bring a water bottle. 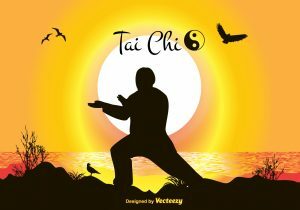 Tai Chi exercise involves slow, smooth, continual movements which help the practitioner develop strength and coordination. Tai Chi has been proven to help prevent falls and improves mindfulness and concentration. The exercise lends itself to all ages and abilities. Everyone is invited to come over and try out Tai Chi.